What do you mean when you say "Manually focus stacked (2 images)"? 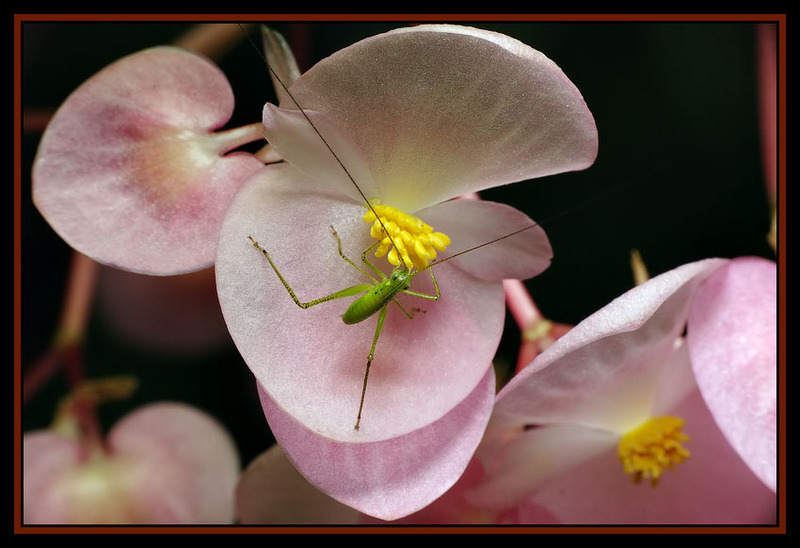 Katydid? 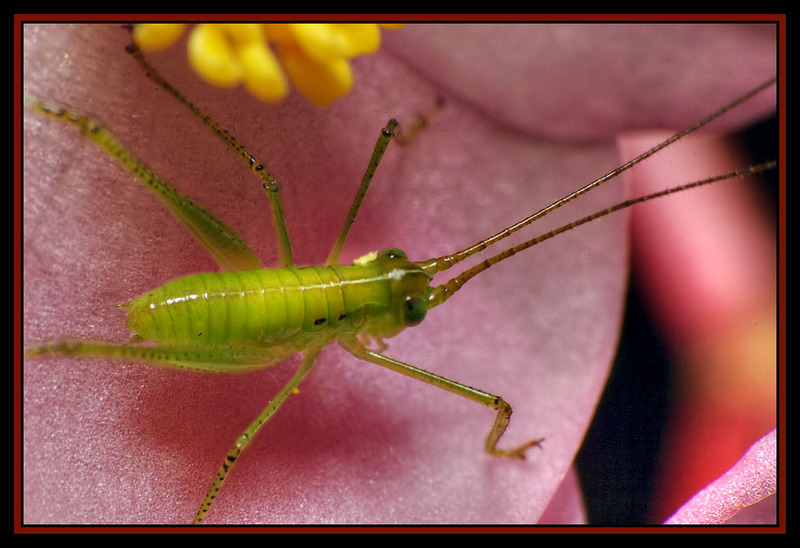 or larval stage of Katydid or Grasshopper--I think they are all in the same family. I shot one of those things a few months back. 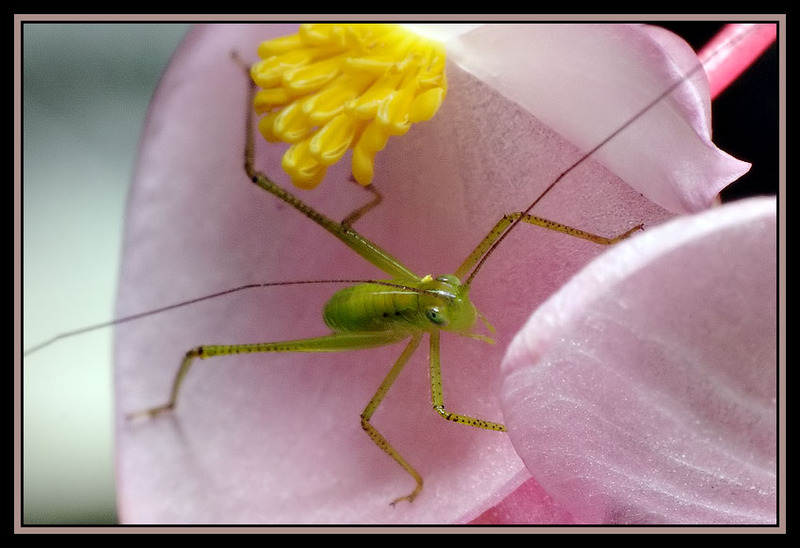 I thought it might have been a young grasshopper, but really have no clue. Actually the one I shot looks to be a bit more mature. 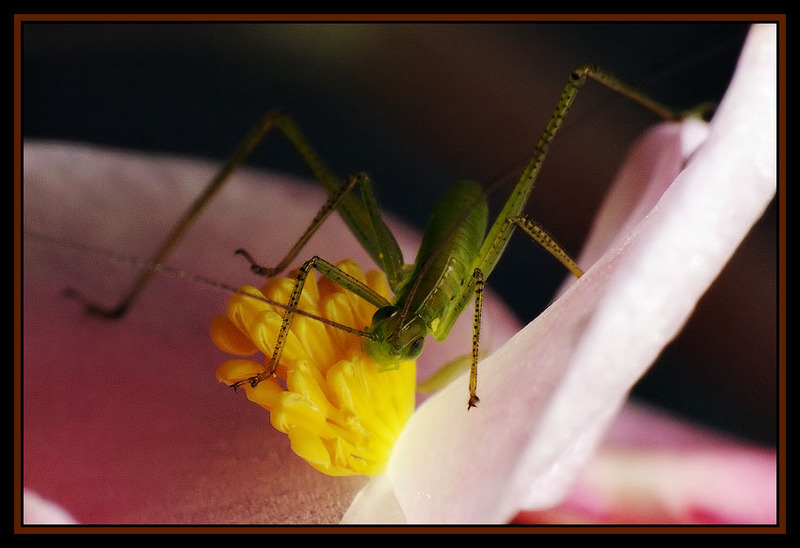 It's definitely a grasshopper nymph, so yes, it's a young grashopper! Thanks Everybody for your replies its good to see we've got some experts here. Maxwell (keep forgetting the name) yours is definately a g'hopper. Mike, not sure yours is a hopper though. Nice work on the stacking. See my signature below for link to bug and bird identifications. Heck, you could "donate" some of your shots too. Really somenice great shots here.